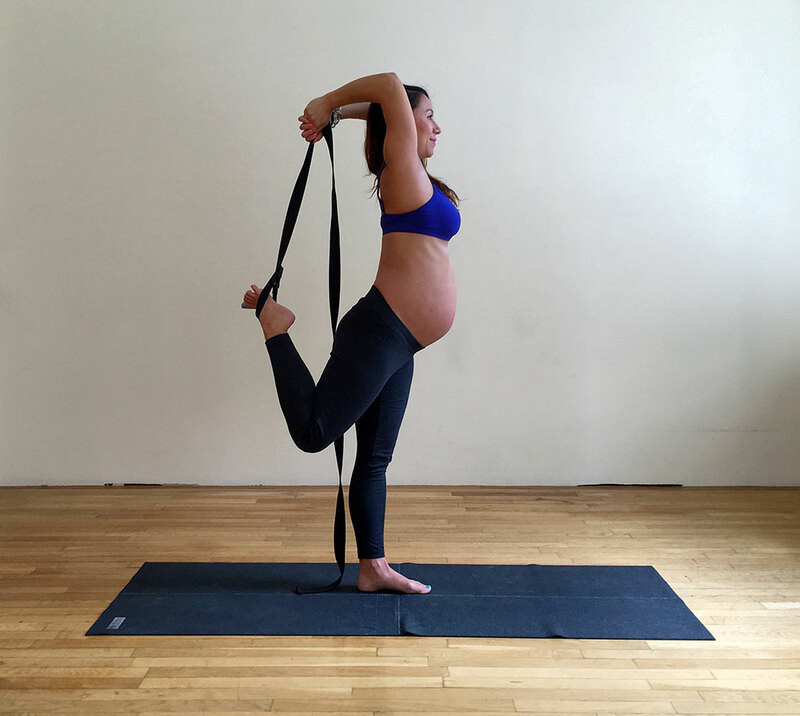 Using a belt to modify Natarajasana/Dancers pose during pregnancy. 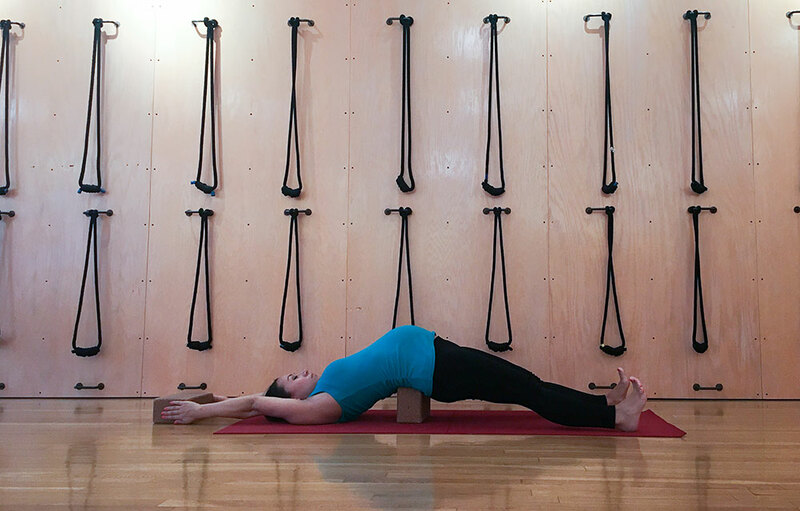 Belts and blocks are the foundation props you will find in almost all yoga studios. Many believe that these are for a beginner student who cannot access certain poses but they offer so much more. Like other props they can be used to aid in alignment and proprioception and entire sequences can be explored using these simple yet incredible props and open ones eyes to the endless possibilities of the body. This block series as created by Alison West allows a gentle opening of the back when building up to more strenuous back bends. Using a block in Thunder Bolt to bring the floor up to meet the pose. The belt set-up used to help heal my knees when I had tendonitis. 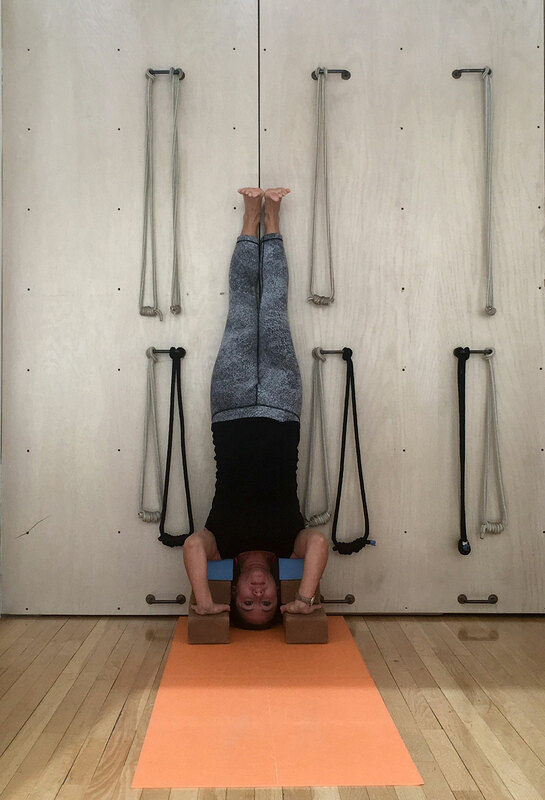 Blocks used to gain access to Sirsasana – Headstand without having to touch the head to the floor.